Life and Death. And Percy Jackson. Baru-baru ini ada rekan kerja yang meninggal di usia 40 tahun (padahal sebulan lagi berulangtahun yg ke-41). Well, it makes me think about life and death… again. I often think about it since my dad died in 2006 (a month before his birthday too). I told you before that when your close person or your family member died, your life would never be the same again. It happens to me. Tapi mungkin ada beberapa faktor lain juga. You know, I’m in my twenty-something age. Most open-minded people said that it’s normal when in your twenties, you think and worry about your future life very often. I am facing that thing right now. And it’s very annoying sometimes. Even when I meet my old friends, they often said that there are many differences in me compared with myself in my college year. Perhaps my style became darker… Hahah. But, I also get more thin. I lost almost 5 kg since graduation. I don’t really chubby anymore. And they recognized there is something different on my face. Well, I have these angry and sorrow eyes recently. Agony. That’s what you’ll see when you look into my eyes, I think. Anyway, heran juga melihat orang-orang bisa dengan ringannya menertawakan kehidupan atau kematian. Seringkali mereka menggampangkan hidup. Apa mungkin karena mereka selalu dengan mudahnya mendapatkan apa yg mereka inginkan ya? While I don’t always get what I want. Gw juga melihat para bapak-bapak n ibu-ibu yang kemarin ini menertawakan kematian. Mungkin karena mereka telah banyak makan asam-garam dan melewati banyak pahit-manis kehidupan sehingga mereka sudah siap menghadapi kematian? Hahah. I don’t even know if that is a question or what. Maybe I’m too young too worry (hahah, lagunya A7X banget sih, Seize the Day). But, it could happen to anyone. Old and young. Btw, nemu pic para pemerannya yg terlihat ordinary people banget. Heheh. But Logan Lerman still looks handsome and beautiful (unfortunately, umurnya baru ajah menginjak angka 18. Hahah!). But, I actually have my own version of Annabeth Chase if in the movie her hair is blonde. Carly Schroeder. She is athlethic n sporty, beautiful, has icy blue eyes and blonde hair. She was born on 1990 (while Logan Lerman was born on 1992. Yah, umurnya gak terlalu jauh kan? Soalnya banyak yg protes karena Alexandra lahir tahun 1986, terlalu jauh jika dipasangkan dengan Logan. Tapi namanya juga pilem. It’s their job as actors to convince the moviewatchers). 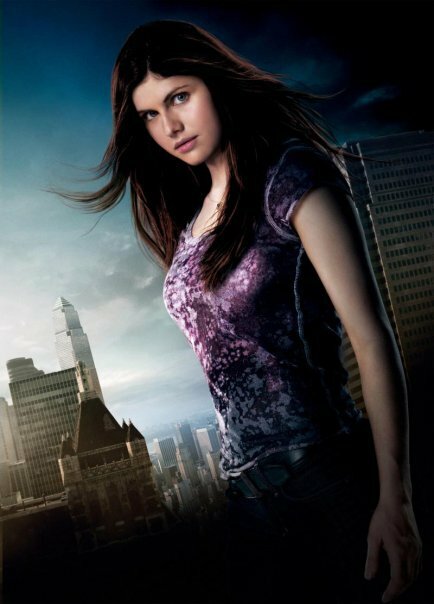 I know her from the movie Gracie which she portrays a teenage girl who play soccer in the boys team. The movie really got me. Btw, suddenly I’m thinking about why heroes/heroines often have some mental illness. 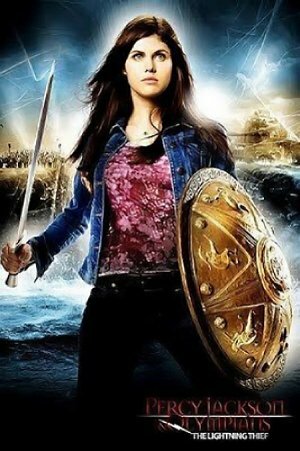 You know, Percy Jackson is a demi-God while he has dyslexia and impulsive/hyperactiveness which become some kind of instinct and great reflex for battlefield skills. Elektra Natchios has Obsessive Compulsive Disorder. The main protagonist in Wanted movie (I forgot his name, the one who is portrayed by James McAvoy) has impulsive-depressiveness or anxiety which lead him to a great reflex. Hmm… I actually have many symptoms of O. C. D., anxiety, and impulsiveness. I wonder if some adventures would come to entering my life ahead. Heheh. Btw, I took Percy Jackson’s official quiz from the official website. I took it twice and the result was the same. I’m the daughter of Hades! Hahah. Just an update from me. ~ by Rizki on March 1, 2010. Orang bukanlah ingin mentertawakan kematian, mgkn itu cuma melepaskan diri dari sebuah rasa takut akan kematian itu sendiri. Terkadang org tidak mau membicarakan, padahal saat kematian itu bisa kapan saja… aneh juga… tapi ya mgkn itu tadi… mereka takut akan kematian….